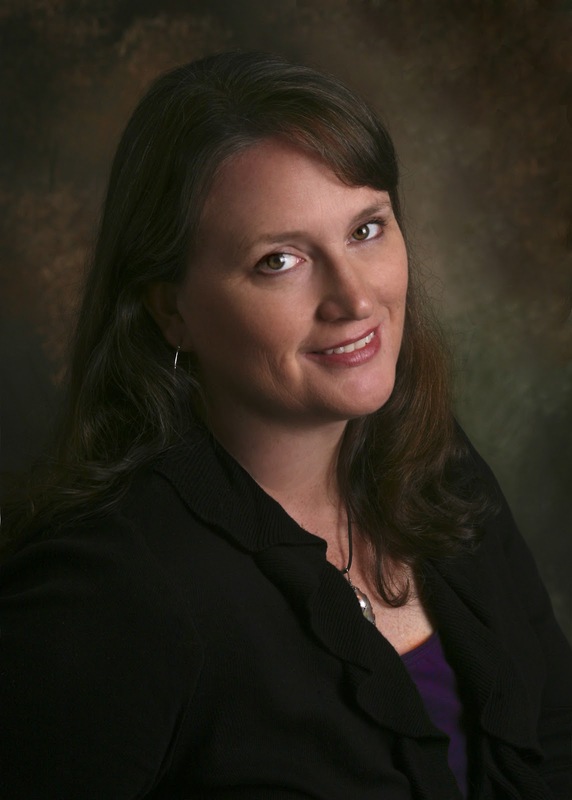 Today's WOW guest is Kami Kinard, the author of The Boy Project: Notes and Observations of Kara McAllister (Scholastic, January 2012). Kami's poetry, stories, articles, and essays have appeared in periodicals for children and adults, and she also works as a teaching artist for SC schools, and teaches writing courses for continuing education programs. She lives with her family in Beaufort, SC. Catch her on her blog, www.nerdychicksrule.com, on Twitter, https://twitter.com/#!/kamikinard, or on her website, www.kamikinard.com. I have spent most of my career as a writer living in coastal towns of the southern United States. I call it living on the edge of the universe, and for the purposes of writing and publishing in the children’s industry, it is. For the most part, writing is a solitary job, so I didn’t think my location mattered much. For several years I wrote mostly from my home, submitting to publishers, agents, and magazines without getting feedback from anyone else. I was having luck with the magazine market, and I sold several poems and stories right away. And I was getting the notorious “good” rejection letters from publishers… but I never got any farther. Eventually, I had the most important realization I would have as a writer: you can’t do it alone. I joined SCBWI. With their resources, I found two other writers in my area and formed a small critique group. My writing began improving. I started getting revision requests… but I still couldn’t break into the world of book publication. At this point I made a decision that would change the course of my career. I realized that I was limiting my ability to improve by staying at the edge of the universe. I needed to go out into the wider world of children’s writers. I started attending workshops and conferences. Not just in North and South Carolina, but in Pennsylvania, New Jersey, and New York too. This was the best way I could think of to get access to editors and agents, and to learn what they are looking for, and to find where my work was falling short. But here is what surprised me about attending workshops and conferences: meeting editors and agents wasn’t the most important aspect of them, meeting other writers was. I thought it would be helpful to list a few of the conferences and workshops I’ve attended, in order to show how meeting other writers directly benefited my career. My first conference was an SCBWI-Carolinas conference. There I met another writer who encouraged me to attend a poetry writing workshop at the Highlights Foundation. At the Highlights Foundation Founders workshop, I learned about The Writers Workshop at Chautauqua. I attended the Writers Workshop at Chautauqua, where I met four of my closest writer friends. I also learned about the Rutgers One-on-One Plus conference from a writer I met there. Rutgers One-on-One Plus is a conference that pairs attendees one to one with a faculty mentor. Mentors are editors, agents, or established authors. It is a great place to get feedback from a lot of editors and agents at once. At Rutgers, I learned that I was writing in the most difficult genre to get published. I switched genres and came back the next year. The next year at Rutgers, my mentor was another writer. After reading my manuscript, she showed me how my characterization was shallow, and gave me tips on how to improve it. That manuscript later sold. Next I met my four writer friends from Chautauqua in NY for a mini conference. There I met editor Kristen Daly Rens, who showed my poetry to Lee Bennett Hopkins, who included it in Nasty Bugs, a poetry anthology released this year by Dial. I also made a new writer friend, who later suggested I submit my manuscript to agent Rosemary Stimola, even though she was not Rosemary’s client. I took her advice, and suddenly, I had an agent. At an SCBWI Carolinas novel-writing workshop, another writer suggested that I read my old diaries from middle school and high school. I didn’t remember those being very interesting years, but curiosity got the best of me, and when I got home from the conference I read the diaries straight through. 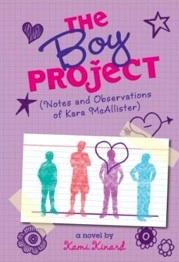 Reading them gave me the idea to write THE BOY PROJECT (Scholastic 2012). It also helped me find the right voice for my main character. I have been to many more conferences and workshops than those listed above, and I can honestly say that I’ve taken away valuable information from each one. Just through the ones included here, I made friends who introduced me to editors, led me to my agent, and suggested I read diaries that resulted in my novel. Over the years, we’ve discussed publication stresses and frustrations, exchanged manuscripts, and asked each other for advice. I’ve made tons of other friends along the way too, many who blogged about my novel when it first came out, helping me launch it into the world. And I haven’t even mentioned the other ways my writer friends have helped me, simply as friends. We call and email each other. We laugh at the absurdities of this crazy industry. We cry over family tragedies and we cheer for each other when there is cause to celebrate. We support each other. The best advice I can give writers aspiring to become authors is to attend workshops and conferences to help improve your craft and to make friends along the way. You can’t do it alone. Your journey will be more productive, and a lot more fun, if you travel with friends. Thanks for sharing this. Kami, what you wrote has made me serious think about going to more writing conferences. I love the idea on using diaries for inspiration. I started a similar project myself :) I wasn't as intentional about it though, so that's very good insight. It's funny how one thing leads to another! Thanks for sharing your journey with us. Great post, and great advice! Thanks for sharing! Connecting with other writers has been my biggest take away from conferences as well. It's been nice to meet with agents and editors and to hear their thoughts, but the friendships that remained after the conferences have been what has kept me going and feeling part of a community. Thanks for sharing this! W.H.Beck, did you recognize yourself in there? I thought about naming names... then thought I should leave it for everyone to tell their own stories. Thanks Traci and Michele! I so appreciate your comments!